It all began in 1982 with a Deaf-Blind Project in the Division of Genetics, Department of Child Health, University of Missouri, Columbia. The primary participants in the Deaf-Blind Project were Dr. Joyce Mitchell (Medical Informatics), Dr. Sandra Davenport (Genetics and Developmental Pediatrics), Dr. James Thelin (Audiology), and Meg Hefner (Genetics). 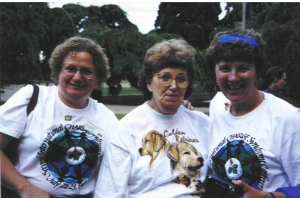 Their tireless and pioneering work subsequently led to the formation of the CHARGE Syndrome Foundation. During the three decades since, the Foundation has grown and now serves over 3,600 families and individuals with CHARGE syndrome. Founders Marion Norbury, Jim Thelin, Sandra Davenport, and Meg Hefner are pictured at the 1995 conference and again at the 2015 conference along with the Executive Committee (click to enlarge). Although the stated aim of the Deaf-Blind Project had to do with diagnosis of CHARGE and a description of the features for the benefit of geneticists and other physicians, it was quickly recognized that families need information, too. Thanks to the generous support of the Quota Club of Columbia, a local service organization for business and professional women, Jim and Meg became the primary authors of CHARGE Syndrome: A Booklet for Families, with lots of input from Sandy and Joyce. The first 1,000 Booklets were printed in 1988, figuring they would last five years or so (it was thought CHARGE was rare!). The typical scenario was as follows: A family would write or call and request one booklet. A week or so later, the same family would request 5-10 booklets so they could be passed out to relatives, doctors, teachers, and others who worked with their child. The booklets were gone in a year, and went through several more printings in the following years. Until the Manual became available, the Booklet for Families was the best initial source of information on CHARGE available to families. After publication and distribution of the booklet, several families started reaching out with questions like, “Are there any other children with CHARGE in New Jersey?” “Does anyone else have a baby with feeding problems?” “Is my child’s heart defect a typical one for CHARGE?” and so on. It was clear there needed to be a way for families to get more information and to share their information and stories with one another as well. 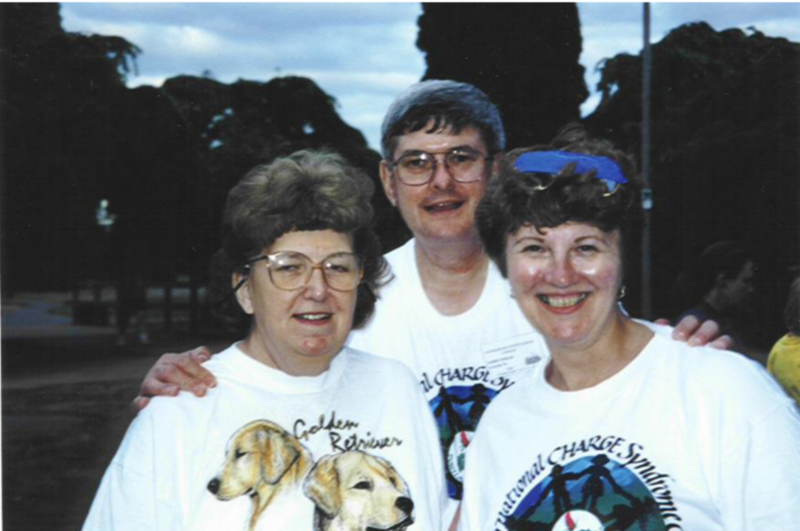 In 1989, Marion, Sandra and Meg published the first edition of the newsletter – CHARGE Accounts. The first few years were a bit shaky, with issues not always coming out on time, but it was a success with families. The newsletter is now published four times a year and distributed to all members of the CHARGE Syndrome Foundation. In 1993, the CHARGE Syndrome Foundation, Inc. was incorporated and the first International CHARGE Syndrome Conference was held in St. Louis, Missouri. It was attended by over 250 people, including about 50 children with CHARGE. Since then, CHARGE conferences have been held every two years, with rotating geographic locations. As of 2001, conferences had been held in St. Louis, Portland (Oregon), Boston, Houston, and Indianapolis. The most recent conference, held in Chicago in 2015, was attended by over 1,200 people from 25 countries, including 233 individuals with CHARGE. The quarterly newsletter CHARGE Accounts goes to more than a dozen countries besides the United States. A toll-free number and website made it easy for families to contact the Foundation for information and support. The CHARGE Syndrome Foundation currently serves more than 400 members, families and individuals with CHARGE. More than 3600 people receive the Foundation’s e-News with information about Foundation activities, research opportunities and other events. 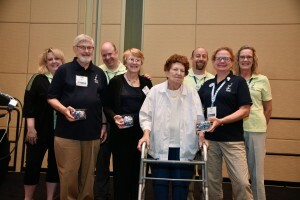 The Foundation has a an elected Board of Directors (primarily parents and professionals) who work on a volunteer basis and are responsible for publicizing CHARGE, developing additional materials for families and professionals, raising money for conferences and research, planning the conferences and determining the direction of the Foundation.